Please note that during the period from 24/12/2012 to 02/01/2013 trading conditions and margin requirements are subject to change. Furthermore, there may be periods of decreased liquidity in the market for certain trading instruments during these dates. Templer FX reserves the right to switch instruments traded with low liquidity into "Close only" mode or to temporarily freeze trading on these instruments without prior notice if necessary. All current and new Templer clients are eligible to take part in Templer's 2012/2013 Christmas and New Year Bonus Campaign. Qualifying clients earn a 10% bonus credit on all deposits between December 17th 2012 and January 25th 2013 up to a cumulative bonus amount of $2500 per account. Get an extra +1.5% (+11.50% in total) Bonus for bank wires! 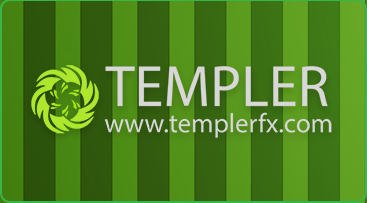 Since 19/11/2012 Templer FX stops serving clients from CIS and Russia using "Bank of Cyprus" account. Customers from these countries can use services of "Rietumu Banka" for depositing and withdrawing funds.You can claim bank details by e-mail to billing@templerfx.net. Our apologies for the inconvenience. Following changing market demands, Templer FX is happy to introduce our new free version of the MetaTrader 4 terminal designed specially for trading on your Blackberry device. All current and new Templer clients are eligible to take part in Templer's 2012 Autumn Bonus Campaign. Qualifying clients earn a 10% bonus credit on all deposits between October 3rd 2012 and November 2nd 2012 up to a cumulative bonus amount of $2500 per account. New Android and iOs mobile terminals are introduced. Following changing market demands, Templer FX is happy to introduce our new free version of the MetaTrader 4 terminal designed specially for trading on your Android and iOs device. All current and new Templer clients are eligible to take part in Templer's 2012 Summer Bonus Campaign. Qualifying clients earn a 10% bonus credit on all deposits between July 2nd 2012 and August 3rd 2012 up to a cumulative bonus amount of $2500 per account. Templer's 2012 Spring Bonus Campaign. amount of $2500 per account. Checked customers now can transfer via LiqPay up to 2’500 USD per click, 10’ 000 USD per month. Withdrawal limits for VISA Cards are up to 500 USD per day.